Rain showers early becoming more intermittent overnight. Low near 40F. Winds N at 15 to 25 mph. Chance of rain 40%.. Rain showers early becoming more intermittent overnight. Low near 40F. Winds N at 15 to 25 mph. Chance of rain 40%. Timothy Ray Parker, age 48, passed away on Thursday, February 14, 2019, in Port au Prince, Haiti. He was born in Danville, Illinois, on August 5, 1970. Tim is survived by his wife, Melissa; son, Tyler (Rachel) Parker of Pella, Iowa, daughter; Chelsie (Steeve) Bickel of Colorado Springs, Colorado; and son, Jamesley Parker at home. He is also survived by grandchildren Merrick, Emmitt, and Baby Parker (due in July); parents, Dennis and Inge Parker of Eagle Nest, New Mexico; brother, Danny (Debbie) Cole; and sisters, Cathy (Larry Sebens) McFeeters and Karla (Mark) Wilson. Tim graduated from Monticello High School in 1989. He married Melissa Nance-Leach on September 1, 1991. In 2010, Tim and Melissa went on a week-long mission trip with Crossroads Church in Monticello to Haiti to the orphanage of God’s Littlest Angels (GLA). Over the next two years, Tim led several teams to GLA and built relationships with the people of Haiti. In 2012, Tim, Melissa, and Chelsie, moved to Haiti to live and work full-time with GLA, doing construction, performing site maintenance, and hosting volunteers at the Guest House. The past six years of Tim’s life were spent in faithful service to many children and families in the mountains of Haiti. 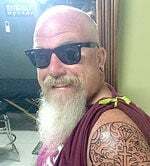 Tim had a passion for Jeeps and loved going for drives with his family and Jeep Club. His heart was devoted to the Lord and he lived a life which displayed the love he had for others and for his Creator. A private family service will be held in the Mansion at Allerton Park and Retreat Center, Monticello, on Friday, March 15, at 2:00 p.m. Melissa and her children will greet guests from 3:00-7:00 p.m.
Memorial contributions may be made to Melissa Parker, c/o First State Bank, Monticello.